Joy Alessi waited in line for four hours to get her passport. When it was finally her turn to speak to someone at the bureau, she was instead told she was not actually a U.S. citizen. months old and then discover at 25 that she was not technically an American, qualifying her for a U.S. passport. Now almost 50, Alessi was brought over from South Korea to be raised by her adopted parents, and said the entire time she was growing up, her parents never informed her that she wasn’t a citizen. Alessi is just one of an estimated 18,000 Korean adoptees who were brought into the U.S. and never became citizens, says Emily Kessel, the advocacy director for National Korean American Service and Education Consortium, an immigrant and minority rights group. The Child Citizenship Act of 2000 granted automatic citizenship to children adopted by U.S. citizens, but it did not include adoptees who were over 18 when it was implemented in 2001. 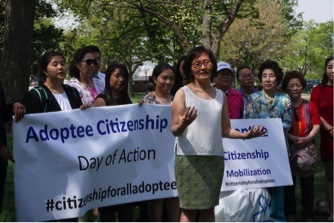 Korean adoptees are more likely than other adoptees to face these citizenship issues, since Korea was one of the first countries to send adoptees to the United States, with the first peak beginning after the Korean War and large waves of children coming in the ’70s and ’80s. Although other countries like China and Russia have sent more children to the U.S. in recent years, these adoptees are more likely to make the age cutoff stated in the 2000 act and be able to get citizenship. Of the tens of thousands of Korean adoptees who were adults when the act passed, many only discovered they were not citizens when they tried to vote or get a passport like Alessi and received the surprise of a lifetime, says Kevin Vollmers, an activist formerly with Gazillion Strong, a group dedicated to helping marginalized communities. 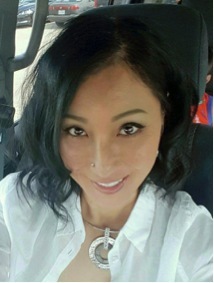 Although Alessi is a legal permanent resident in the U.S. and is able to travel with her green card and Korean passport, not all adoptees are as fortunate. In Adam Crapser’s case, not having a U.S. passport could mean getting deported. Like Alessi, Crapser was adopted into the U.S. from South Korea at a young age, but grew up in abusive foster homes and then established a criminal record for such offenses as burglary and unlawful firearm possession. He tried to turn his life around and in 2012 applied for a green card. That was when he was flagged by the U.S. Immigration and Customs Enforcement for his past convictions, and he is now in a detention center facing deportation back to South Korea, because of a law targeting for deportation non-U.S. citizens with certain criminal convictions. 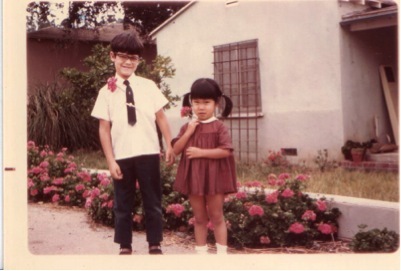 How did these adoptees slip through the cracks? Why didn’t the 2000 act include adoptees who were brought into the country years before? Depending on whom you ask, the answer can range from discouraging to downright cynical. If you ask Susan Soonkeum Cox, the vice president of policy and external affairs for Holt International, an international child welfare and adoption organization, she will tell you that officials thought these adult adoptees were old enough to get citizenship for themselves and didn’t necessary need a bill. If you ask Vollmers, the 2000 act was primarily implemented to serve everyone in the adoption community – except adoptees themselves. Cox disputes such a claim. She says all adoption agencies would want to see adoptees get citizenship, although she doesn’t necessarily know how many are active in the adoptee rights movement. Vollmers still says the lack of active support from adoption agencies and the greater adoption community is why the 2000 act had more widespread support than the pending Adoptee Citizenship Act of 2015. The pending bill was introduced in the Senate in November. It now has a House companion bill as of this June. If passed into law, it would retroactively give citizenship to adoptees who were over 18 when the 2000 act was enacted. Cox says Holt has been active in supporting the 2015 bill and has worked with the senators behind the bill and an adoptee organization to advocate for adoptee rights. Both Cox and Kessel say one of the major obstacles to getting the bill passed is the attitude toward immigration in the current political climate. Similarly, Kessel says the bill is being viewed as an immigration issue, which is a touchy subject for many. She says some have concerns that the bill would potentially bring back criminals to the U.S., since those who have been deported as non-citizens would be able to return as Americans. However, she says most people who would benefit from the bill don’t have a criminal record, and even those who do still deserve to be prosecuted and serve time in the U.S. as citizens. One of the biggest reasons more people aren’t supporting the bill is simply because they don’t know about it, Kessel says. People often just assume kids adopted by U.S. citizens would also get citizenship, and many adoptive parents don’t even know they have to take steps to get their children naturalized. Cox says there is a lot of paperwork involved with applying for naturalization, such as getting approval from the State Department. She adds that unlike in the past, most inter-country adoptions now are finalized in the sending country, and the naturalization process would have already happened by the time the child gets to the U.S.
Alessi says there are even impediments that keep Korean adoptees themselves from talking about issues like citizenship. For Adam Crapser, there are immediate legal solutions that would come out of this bill and allow him to remain in the U.S. Crapser has made mistakes and broken laws, but he has served his time in prison and tried to turn his life around – all he is asking is to make up for these mistakes in America. For the thousands of Korean adoptees in the United States who don’t face deportation, it is still their “fundamental human right” to get citizenship, says Cori McMillan, and adoptee rights activist based in Chicago. It would mean they could finally have the right to vote and travel and the opportunity to apply for certain jobs they wouldn’t be able to get without citizenship. Beyond tangible consequences, there are also identity issues wrapped up in this legislation. Vollmers adds that adoptees are more likely than others to struggle with identity formation and require mental health resources, so having to also deal with a lack of legal security creates even more obstacles for them to deal with. For Alessi, the issue of identity is a complicated one, in which this sense of statelessness is not necessarily a bad place to be. “I’ve grown into my odd identity,” she says. “Especially given my career field – working for an airline, you work with a lot of people that have citizenship all over the place. Just because they work from the United States doesn’t necessarily mean they are U.S. citizens, and so that provided a greater sense of normalcy for myself.However, Alessi acknowledges that the Adoptee Citizenship Act could help her and other adoptees find comfort in finally having a secure legal identity. However, Alessi acknowledges that the Adoptee Citizenship Act could help her and other adoptees find comfort in finally having a secure legal identity. Despite the roadblocks affecting the bill’s progress, Vollmers says he is hopeful it will be able to pass soon. However, other activists maintain cautious expectations. Roughly 80 to 90 percent of bills are never enacted into law, McMillan says, thus this campaign is an uphill battle by nature. Both she and Kessel also say this is a time-sensitive issue and with the national elections coming up, if the bill is not passed in Congress before the August recess, come November, people will be swept up by the election. They may lose interest in the adoptee rights campaign, especially given the lack of awareness around the issue already. But Vollmers says this campaign, although at times frustrating, is at the “one-yard line.” And for him, all of the hard work and obstacles will be worth it if the bill is passed and able to uplift those in the adoptee community.